There truly are a lot of ways that you can generate income and wealth from property investment. Melbourne real estate experts claim that the possibilities are many, and if you are already owing a home and have a bit more money to invest — say, to improve the aesthetics of the place — and if you’re actually business-savvy, then you’ll stand to get a lot more options. Often in life, we move home as there are different stages where we would upsize to a bigger home to accommodate a larger family or downsize to a smaller home to be closer to a certain area. Whenever this circumstance occur, an opportunity to convert our principal place of residence to an investment property arises and it is crucial to carry out this decision carefully because a wrong decision could lead to a loss of future wealth. When it comes to property investment Melbourne Real estate professionals point out, though, that many of these property owners turned out to be satisfied with the decision because with their adequate preparation and meticulous selection, many of these risks did not become actual problems. If you’re considering renting out your property, instead of selling up it’s helpful to know the usual considerations. To help you, some of these considerations are listed below. Determining the right rental rate so you can present your property as a more attractive option. Rental rate is not all about you earning sufficient returns to cover the holding costs. Although getting a positive yield and achieving a passive income is definitely an aim for all investors in the long run, you also need to consider what most renters require and watch out for when choosing a place. Do research on your local market to know the rent you can realistically expect to get. 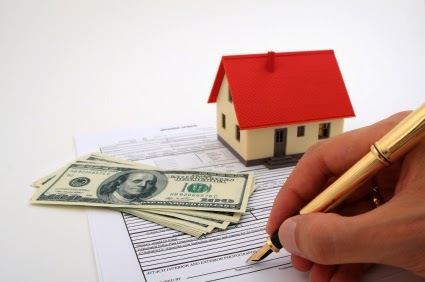 Afterwards, do a conservative cash flow analysis – map out the rental income you expect to get against the monthly financial obligations for the property such as mortgage, taxes, insurance, utilities, maintenance costs, etc. Tenancy law and policies. These are important, especially to protect your asset. You want to make sure that at the end of the contract, you won’t be sorry for renting the property out because the tenants were allowed to just do whatever they wanted to the place. Get some advice on the common rules that you can apply which the tenants need to honour, because while it might be their home, it’s still your property. It would be better to outsource the property letting to a professional property manager. Property Manager Selection. Much like choosing a lawyer to represent you, choosing a property manager should be dealt with similar dedication. After all, they are the ones that would be managing your asset and ensuring a healthy communication between you and your tenant which would translate to good rental returns and keep your asset in top shape. Tenant selection. Set guidelines to refer to when choosing a tenant; it’s difficult to glean a lot of information just from a person’s tenancy application. Things like credit repent, referee’s and checking them against the rental databases are all good excuses, but other things like their lifestyle will remain unknown until they actually start living in the house you’re renting out. This is when the skills of an experienced property manager comes in place and the quality of the question they asked to get a clearer senses of potential tenant. Responsibilities you still need to uphold as a landlord. One of the responsibility of a landlord is repairs and other maintenance on the property. Not only is this important to ensure a steady rental returns but it can also increase your investment property’s value. Usually, a wise investor would allocate a sum of money aside to provision for wear and tear costs and general maintenance to reduce any unexpected costs. So before you decide to sell your home, the consideration of turning it into an investment property might just be one of the smarter investment decision a household can make. How often have you heard an older folk tells you that working back in time they wished they had kept that one property because it’s worth so much more today!